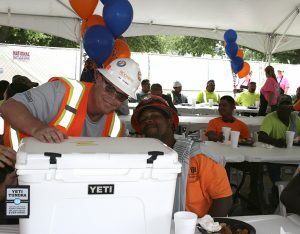 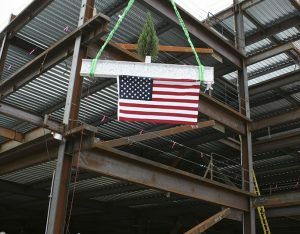 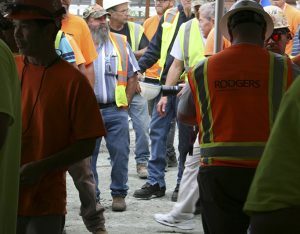 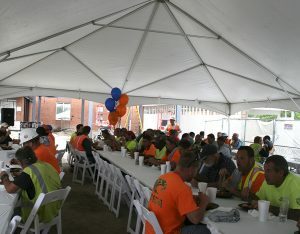 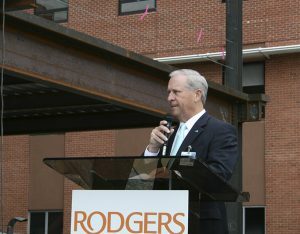 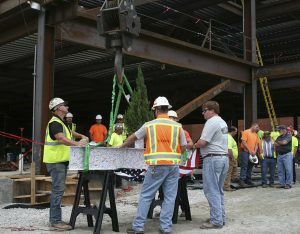 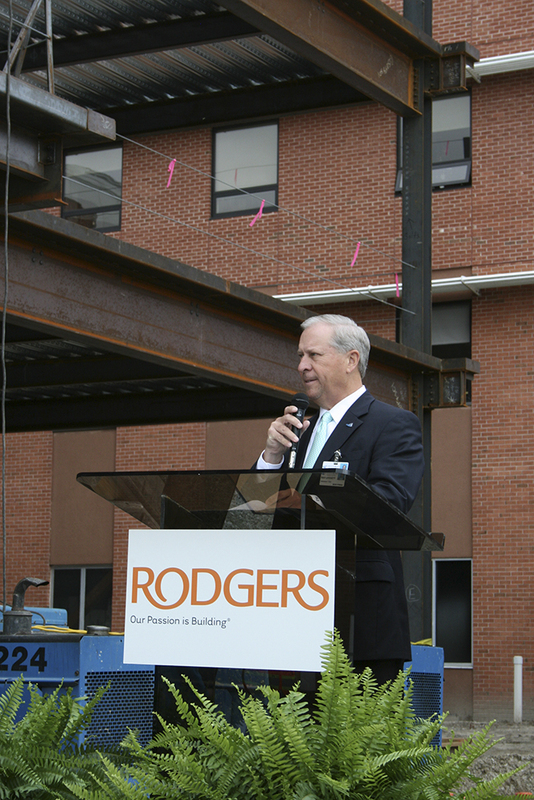 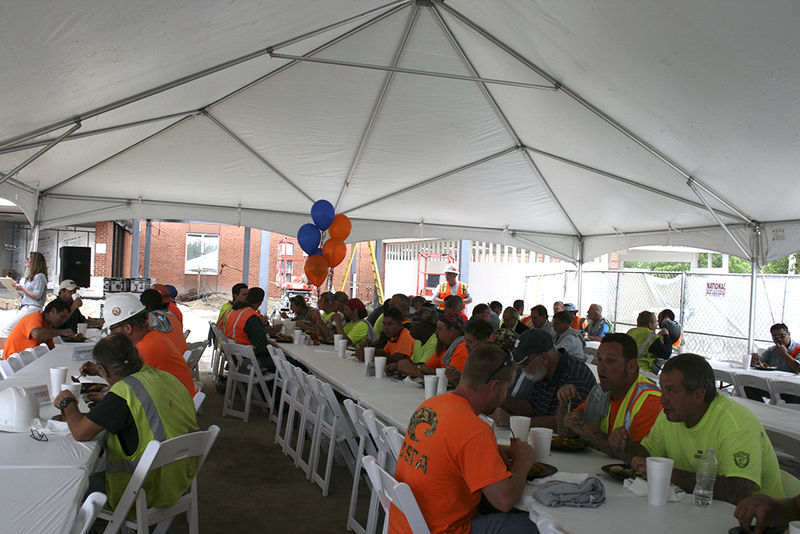 Largest expansion in medical center's 53-year history - Rodgers Builders, Inc.
CarolinaEast Medical Center, Rodgers, community members, subcontractors and craftworkers joined together to celebrate the topping out of the new Women’s and Children’s Health Pavilion and ED expansion this afternoon in New Bern, NC. 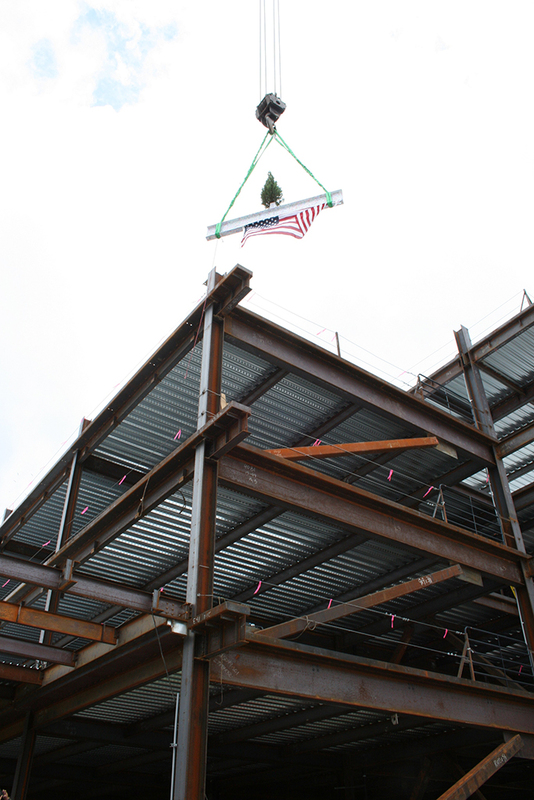 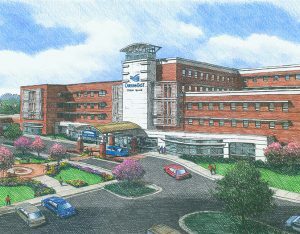 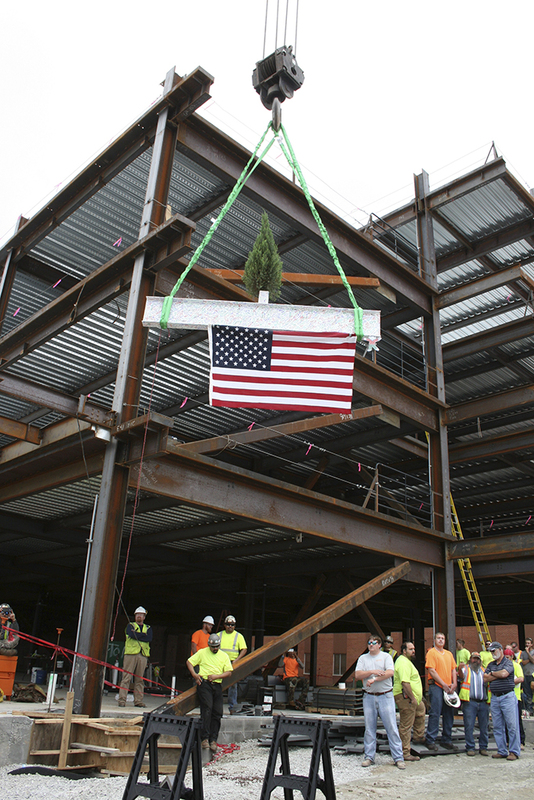 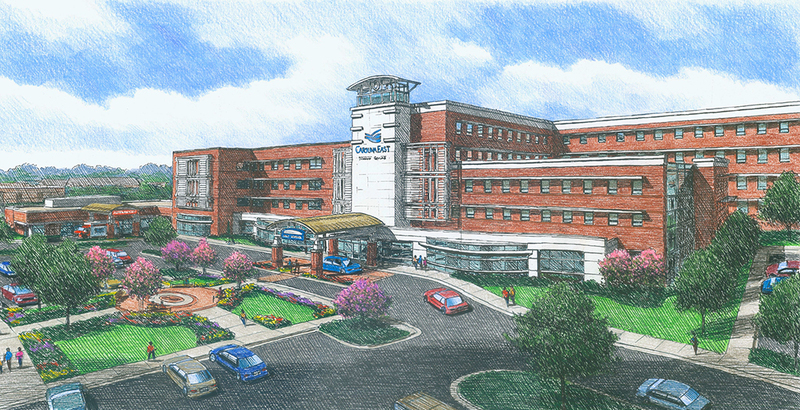 The project consists of a new three-story tower including 30,000 square feet of new construction and over 70,000 square feet of renovated space, making it the largest expansion and renovation project in CarolinaEast Medical Center’s 53-year history. 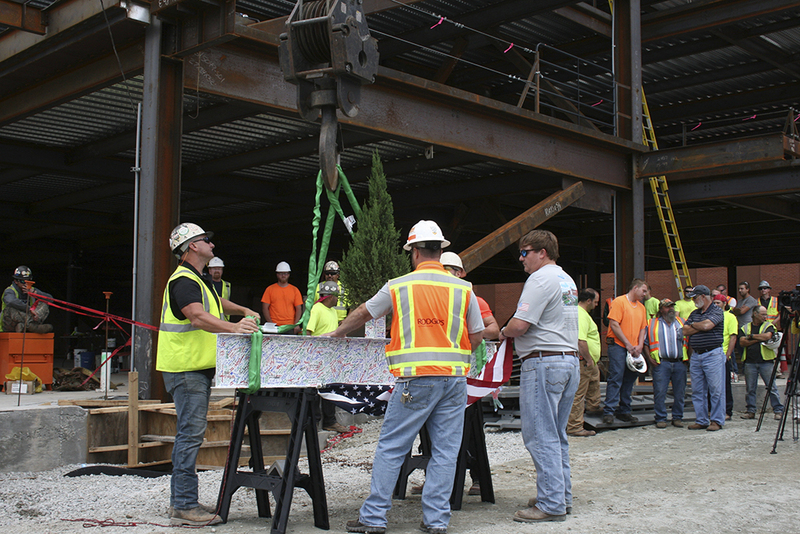 In less than three months since the groundbreaking, workers have placed 155 aggregate piers as deep as 40 feet in the ground, using approximately 1000 tons of stone. 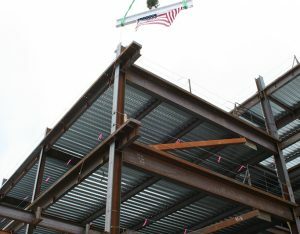 Over 600 cubic yards of concrete has been placed in the foundations and slab-on-grade and over 230 tons of steel has been placed. 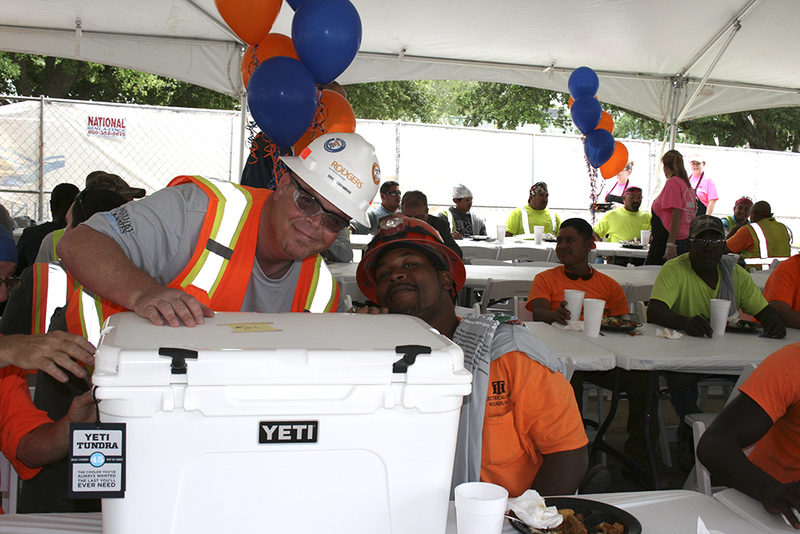 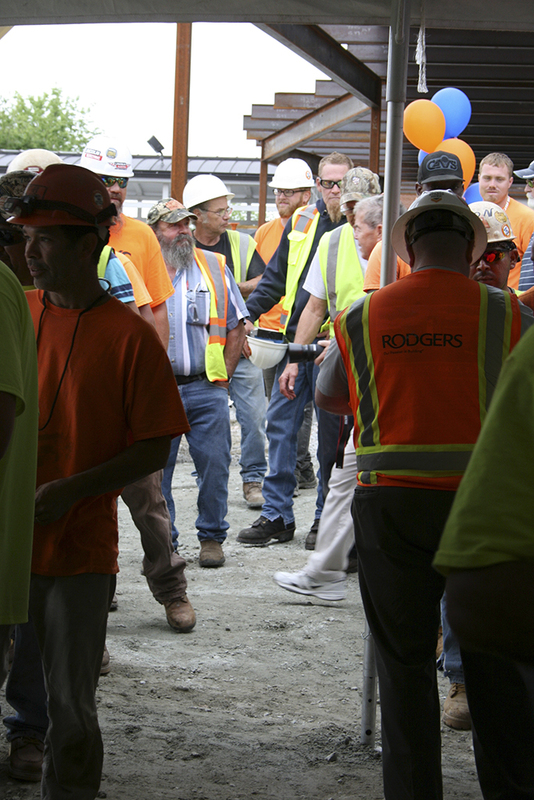 To date, over 18,359 man hours have been safely completed. 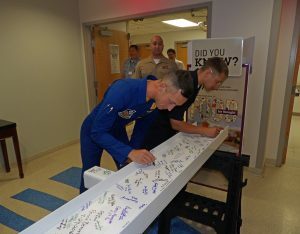 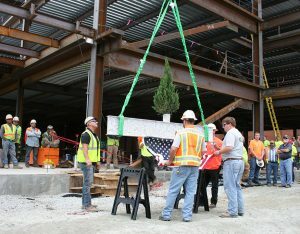 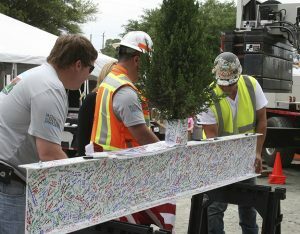 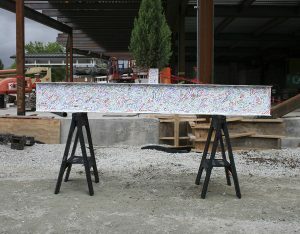 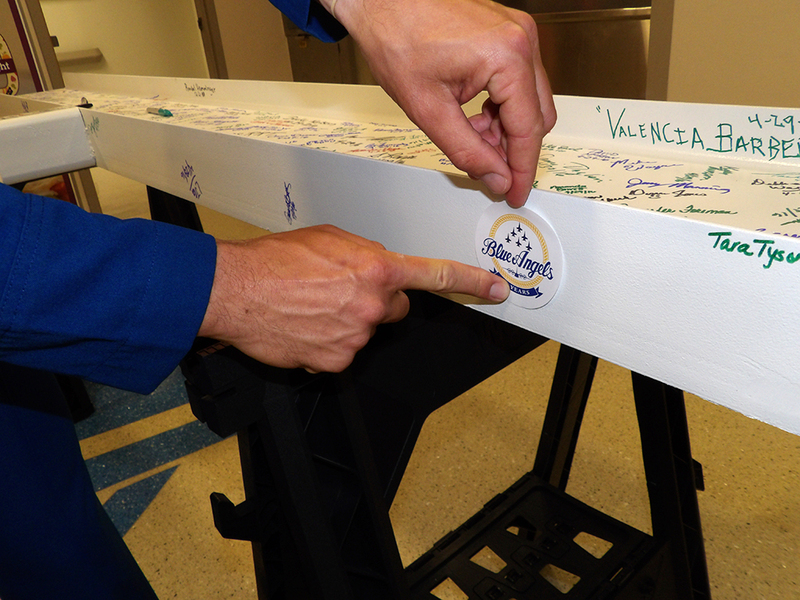 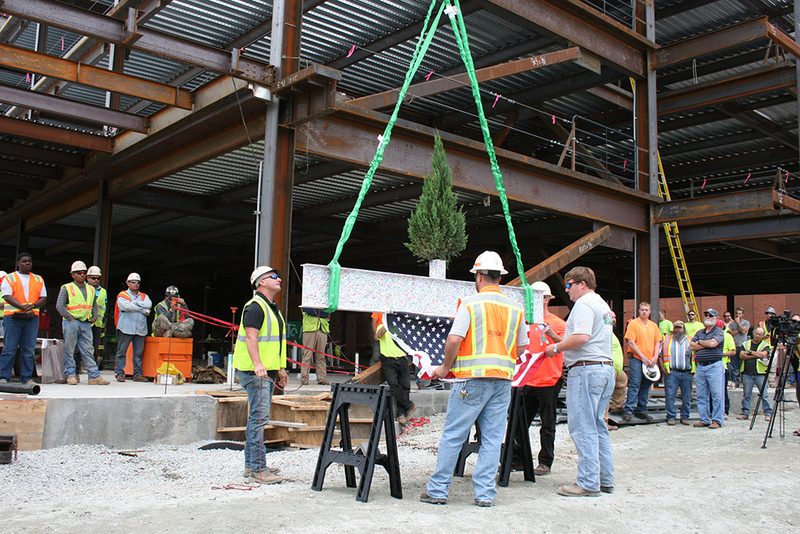 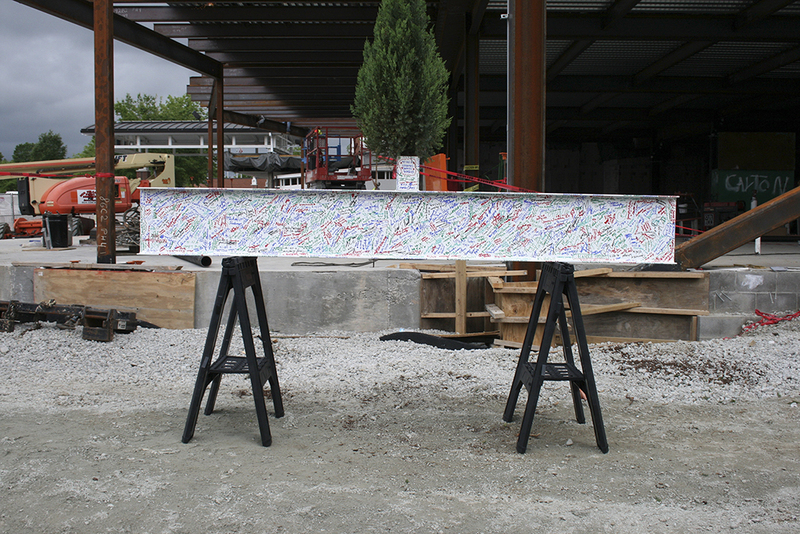 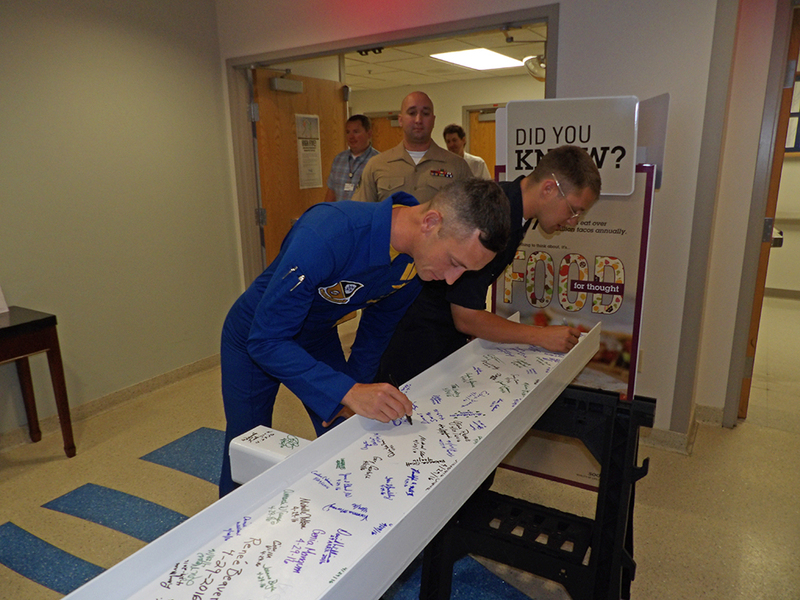 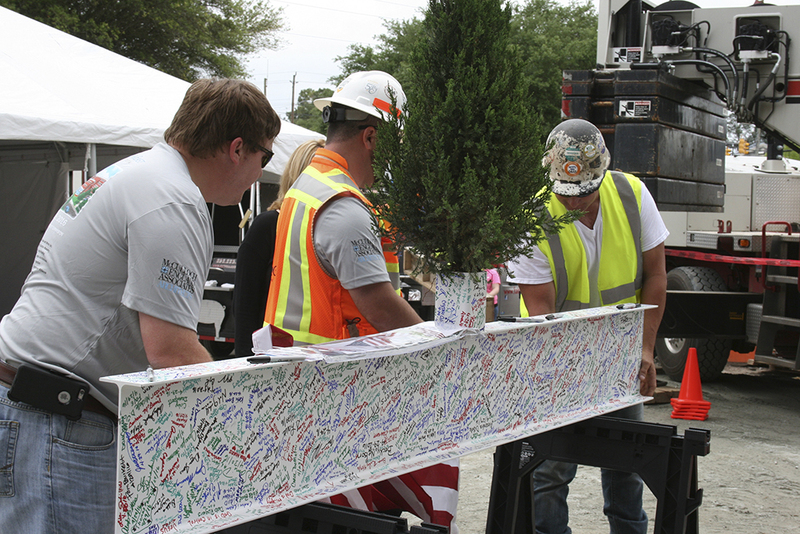 In celebration of the new tower that will benefit the surrounding region, the Flight Surgeon and Corpsman, crew members of the U.S. Navy Blue Angels, came from Naval Air Station Pensacola in Florida to join the festivities as special guests to sign the beam before it was raised into place.